Judge Wheeler was appointed to the United States Court of Federal Claims on October 24, 2005. He received his Juris Doctor Degree from Georgetown University Law School in 1973, and his undergraduate degree from Gettysburg College, Gettysburg, Pennsylvania, in 1970. He is a member of the District of Columbia Bar, and of the American Bar Association's Public Contracts and Litigation Sections. From 1973 to 2005, Judge Wheeler was in private practice in Washington, D.C. He was an associate and partner in the law firm of Pettit & Martin until 1995, and then moved as a partner to the law firm of Piper & Marbury. Through mergers with other firms, Piper & Marbury became known as Piper Marbury Rudnick & Wolfe, and later as DLA Piper Rudnick Gray Cary. During his years in private practice, Judge Wheeler specialized in Government Contract claims, litigation, and counseling, representing a wide variety of large and small business clients. 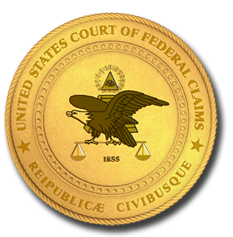 He appeared before many agency boards of contract appeals, the United States Court of Federal Claims and its predecessors, the United States Court of Appeals for the Federal Circuit, a number of United States District Courts, and the Government Accountability Office (formerly the General Accounting Office). Judge Wheeler is married, and has two grown children. Judge Wheeler is active in his Church and community, and he previously served for many years as a youth soccer coach and referee. His outside interests include skiing, photography, writing, softball, and hiking.